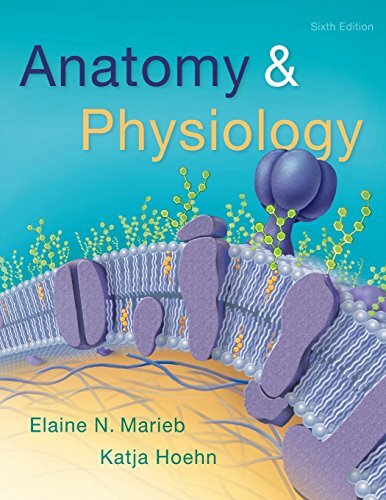 Anatomy & Physiology, Sixth Edition answers the demand for a leaner version of Elaine Marieb and Katja Hoehn’s best-selling Human Anatomy & Physiology while maintaining its trusted, accurate approach. This streamlined text excludes coverage of pregnancy & human development, heredity, and the developmental aspects of body systems, while providing coverage of key A&P concepts. With the newly revised Sixth Edition, Marieb and Hoehn introduce a clear pathway through A&P that helps students and instructors focus on key concepts and make meaningful connections. The new modular organization makes key concepts more readily apparent and understandable to students, and new “Why This Matters” videos help students see why the content is important not only for their course, but also for their future careers. An expanded suite of learning tools in the book and in MasteringA&P guide students through important concepts. MasteringA&P is an online homework, tutorial, and assessment program designed to work with this text to engage students and improve results. Instructors ensure that students arrive ready to learn by assigning educationally effective content before class, and encourage critical thinking and retention with in-class resources such as Learning Catalytics™. Students can further master concepts after class through assignments that provide hints and answer-specific feedback. With a wide range of activities available, students can actively learn, understand, and retain even the most difficult concepts.